MainJudaismHappy birthday to ... us! This week's Dvar Torah is by Arik Speaker, Head of the International Mechina, World Bnei Akiva. Sometimes the connection between two stories, figures or psukim (verses) in the Torah is not very obvious – but, like we see so many times in the Gemara, when you “scratch” it a little, you can find some very interesting connections. Adults (as opposed to kids) can be divided into those that love birthdays and those that genuinely hate them. 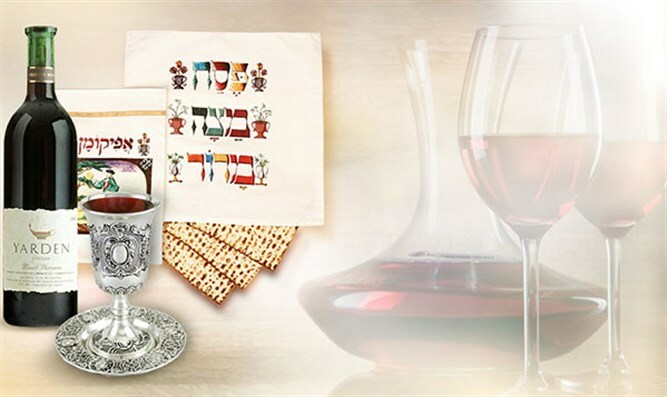 Some see it either as a time to celebrate life, a time to make your cheshbon nefesh (self-examination) or simply an occasion to have some fun – like they call it in Hebrew “Siba Lemasiba”. Others, though, are either depressed by them getting too old (disclosure: I belong to that group), or feel it’s a nonsense event that is fitting for children but that there is no real reason to make a fuss about it. Many times members of the latter group will tell you, that the only one to celebrate his birthday in the Torah is Pharaoh. And who wants to be like him, right? This seems like a winning argument. Now one might argue that the comparison is false. Pharaoh celebrates his birthday, dozens of years after his actual birth – whereas Yechezkel talks about the real birth of Am Israel. Firstly the Hebrew term is identical in both cases “Yom Huledet”. And secondly, more importantly, let’s have a look at what we all do on Seder night. Is that not a huge, eternal, birthday celebration extravaganza, which has been going on for more than 3 millennia? I want to argue that the story of our slavery in Egypt does not start with the Pharaoh's son’s decision many years later to enslave our nation, neither at the time of the arrival of Yaakov and his family to Egypt. The story starts with a birthday and ends with one. Mostly when we read this we focus not on the 3 characters present there, but on the one who is somewhere else – Yossef - and the fact that he is forgotten. But let’s focus for a moment on the event itself. Pharaoh chooses to elevate one and kill the other without any clear reason. He does that randomly. This is pure atrocity. And it is certainly is no coincidence that this happens on his birthday. This day is for him a time to celebrate himself. His power. His ability to do whatever he likes. On the other hand we have our birthday. On this day too, not one but millions are elevated from being slaves to being free, and others, probably tens of thousands, are killed – all of Egypt’s firstborns. But in that case it is not random but rather the complete opposite of that. Hashem chooses every single house and decides - whether it is one with Israelite slaves who were obedient enough and courageous enough to mark their houses with the blood of the Egyptians’ holy animals – or the house of those who for generation enslaved millions of Israelites and murdered their newborn children. Looking at the description of our birthday spoken of by Yechezkel, we see, more clearly than ever, the total and utter difference. Our birthday is marked by the complete mercy of Hashem. Taking care of us like a newborn infant amidst complete cruelty. Feeding, dressing, nurturing us. The birthday that Pharaoh celebrated was characterized by a human, thirsty for complete power, self-centered and his ability to randomly choose who lives and who dies. The birthday that we are celebrating is characterized by the Almighty using his infinite powers to carefully choose which house he strikes with death and which one he liberates. Those powers will then be dedicated during 40 years to foster and care for 3 million “babies” of all ages in the worst possible conditions of the desert. On Leil Haseder let’s think about this aspect and these examples set by Pharaoh on the one hand and “lehavdil” by our liberator from slavery.